3. Qué es un tulipán? By the end of the 70s Pappo was in Europe, and there he learned about Heavy Metal, a musical genre still in formation. 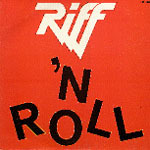 When he returned to Argentina he decided to play that type of music, but since it wouldn't fit in his solo career (Pappo's Blues), he formed a new band. Cohen, Pappo's Blues' drummer didn't fit with this new style, so he was replaced by Michel Peyronel. Boff Serafine was added as a second guitarrist, and Juan Carlos García Haymes as the lead singer. Vitico continued playing bass from Pappo's Blues to Riff. 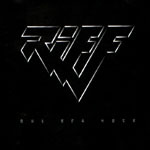 On November 14, 1980, Pappo's Blues separation was announced at Sala Uno, together with the lineup of Riff, so the last performance of one band marked the first one of the latter. It was a total success, but to the audience, a singer like Haymes didn't fit with the band; Pappo was the carismatic figure of the band, wether it's Pappo's Blus or a new band. The audience preferred his voice since they were more familiar with it. 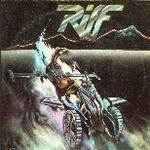 With Pappo as the lead singer, the band's first LP, Ruedas De Metal was released in 1981. 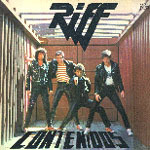 This record featured some of the first videoclips in Argentina. On July 9 of the same year they performed at Obras together with Plus. In that same performance there were chairs installed at the center field, which were mostly destroyed by the audience. The band was so successful that in that same year their next album was released, Macadam 3... 2... 1... 0, also premiered at Obras (this time without the chairs). The band gave spectacular live performances, with the paraphernalia of any international band, way above the local band average. Their next performance at Obras, previous to the release of Contenidos, had violent incidents. 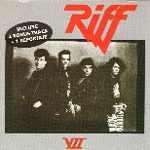 By the end of 1982 they participated in B.A.Rock, a festival that included other national rock bands, which was famous for a violent fight between the band V8 (which was present due to Pappo's mediation) and the public attending to the festival. 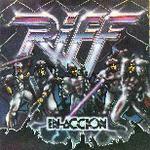 In the beginning of 1983 Danny Peyronel (Michel's brother) joined the band as a keyboard player and occasional singer, and they recorded at Obras their live album Riff En Acción; this performance was also interrupted because of incidents. 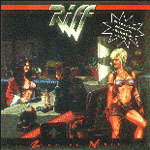 Violence was a recurrent problem in Heavy Metal performances back then, due to the country's situation, but Riff got the worst part for being the most notorious band. 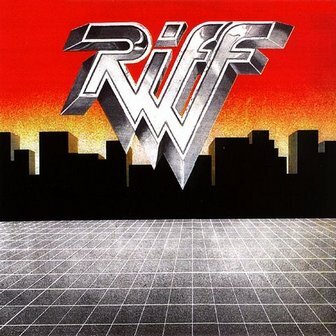 Trying to reverse that situarion they performed at Ferrocarril Oeste stadium under the slogan "Riff termina el año sin cadenas" (Riff closes the year without chains). But instead of calming the audience, it became even more violent, and the incidents were so serious that the band had no other choice but to break up. Pappo started other projects, with "Pappo en concierto" (1984), next to Boff, Enrique Avellaneda and Juan "Locomotora" Espósito. 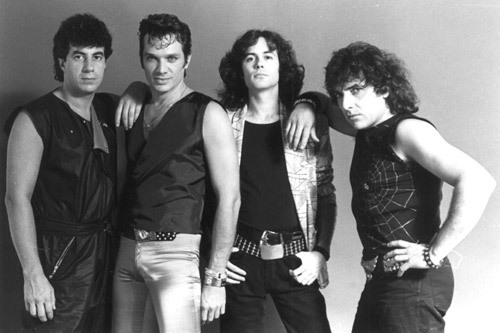 Vitico and Michel became solo artists, and Danny Peyronell joined the spanish band Banzai, but when they separated he joined his brother Michel in the band Tarzen. Oscar Moro - drums (Serú Giran) R.I.P.